Over the weekend I followed Carlton take another beating when they needed to win if they seriously want to be a Top 4 team. It got me thinking about the times they've lost when they "needed" to win. 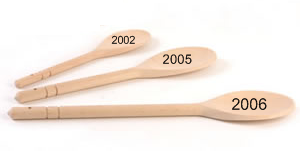 Most painful are the 2 or 3 wins they needed in 2002 to avoid their first wooden spoon in over 100 years! A few more needed wins in '05 and '06 would have been nice too. But I don't know any Carlton fans who stopped following the team because they started racking up the losses instead of wins. Footy fans are loyal. As I considered the idea of loyalty, I wonder if we stick with our sports teams through lean seasons because at the end of the day their lack of success doesn't change anything all that important. My bruised feelings aside! At the same time, because our faith and relationship with God IS so important we want to make sure our church supports and encourages us and if it doesn't we find a church that will. On the other hand, we could argue that exactly because our faith is more important than sports we should stick with our church through thick and thin with even more determination. Just as the supporters of a losing team seek to encourage their team by cheering (before they give up and head to the exits early), church members dig deep and seek to encourage those around them. Not all fans are as blessed as Blues supporters who only have 3 spoons in 116 years. Appropriately (perhaps) the Saints are great role models for Christians with itchy feet. They have 26 wooden spoons. I don't know that I'd have the loyalty to manage 26 losing seasons at a local church. So props to all those longsuffering Saints fans out there. As I write this it occurs to me that this perspective applies just as equally to our marriages. Our families also require commitment and loyalty. Jesus himself described the importance of counting the cost before following him. If you're not prepared for the periods of pain, then maybe this journey isn't important enough for you to undertake. He gave examples of builders making sure they have the funds to finish construction, and kings making sure their army is competitive with their enemies before attacking. He might just as well have said "your journey won't be constantly filled with premiership flags, make sure you're prepared for the inevitable wooden spoons and stick with me." Check out his words first hand here.